Happy Saturday Team Stryker fans! I apologize for the lack of updates on the Team Stryker Facebook page. Unfortunately in November my brand new computer died suddenly and I lost all the work I had done up until page 11. I lost between 40-50 hours worth of work as my pages weren’t getting back up like they were supposed to (thanks Microsoft). I’m just now waiting for my new computer to come in so I can start Team Stryker up again. The only good news I have for you all is that as of today Team Stryker Volume 001 is published and available for purchase! 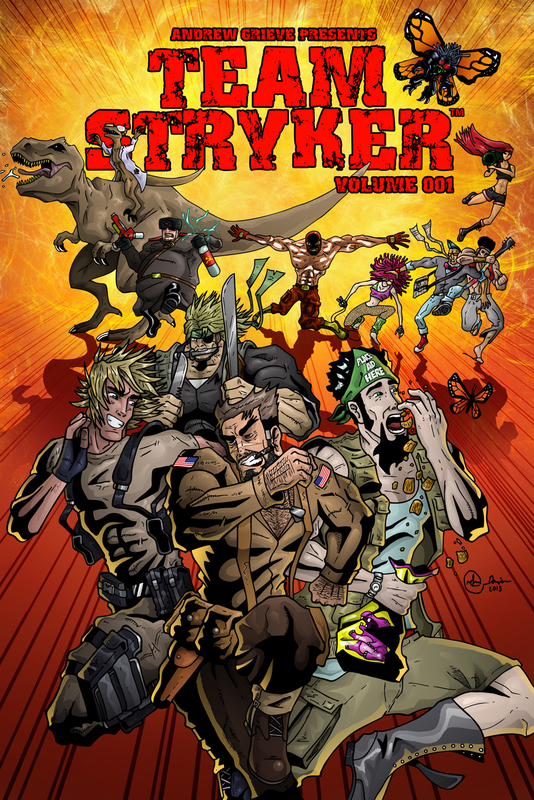 Anyone can purchase Team Stryker Volume 001 through my publisher at FriesenPress. It’s available in ebook, trade paperback and hardcover. Hopefully this will make the wait for the remainder of Mission 009 a little easier. Each sale will go directly towards bringing you more Team Stryker so be sure to share with as many awesome people that you know!